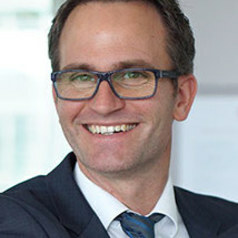 Dirk Baur holds a Master degree in Economics and received his Ph.D. in Financial Econometrics from the University of Tübingen in 2003. Before joining UWA he worked for the Joint Research Centre of the European Commission from 2003-2005, was a Post-doctoral fellow at Trinity College Dublin (2005-2007) and a Lecturer at Dublin City University (2007-2009). From 2009-2014 Dirk was Associate Professor of Finance at the University of Technology, Sydney and Associate Professor of Finance at the Kuehne Logistics University in Hamburg in 2015. Dirk's specialization is in the field of financial economics and financial econometrics. He is an expert on the financial economics of gold, the modelling and estimation of financial contagion, dependence modelling and empirical applications of quantile regression. His current research projects are on shadow banking, Bitcoin, asymmetric volatility and gold. Dirk currently serves on the editorial boards of the Finance Research Letters (FRL), the Journal of International Financial Markets, Institutions and Money (JIFMIM), the Research in International Business and Finance (RIBAF) and the International Review of Financial Analysis (IRFA). He has published 30 articles in international peer-reviewed academic journals such as the Journal of International Money and Finance, the Journal of Banking and Finance and the Journal of Economic Dynamics and Control.